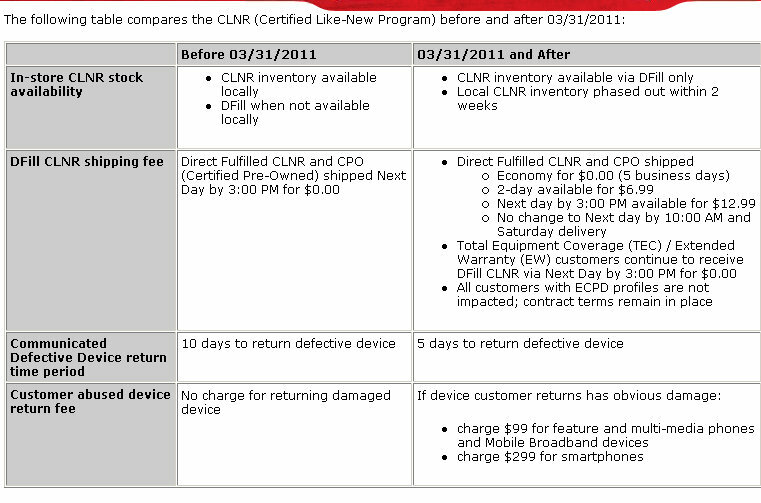 Verizon Changes Certified Like-New Replacement Program, Prepares to Charge You for Device Blemishes? 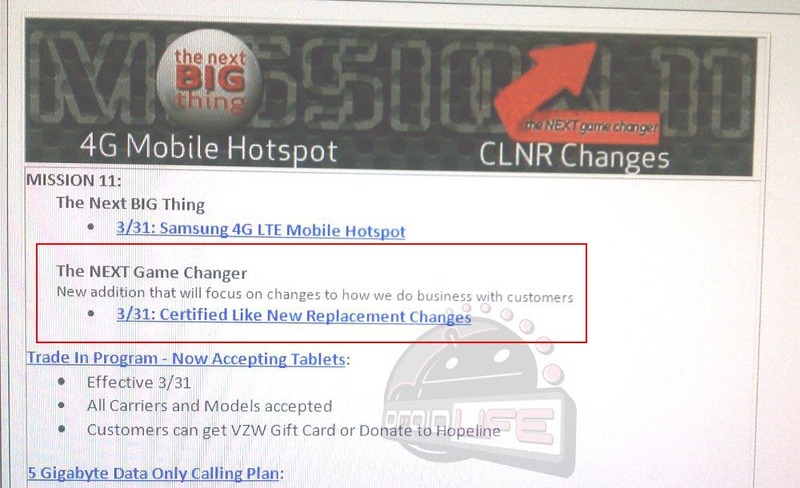 A couple of days ago, I received the screenshot you are seeing above which has a giant bullet in the middle referring to CLNR (certified like-new replacement) changes that will go live on March 31st. I seriously thought nothing of it, and then today, a report came out with the dirty details of these CLNR changes. Let’s just say that you not being thrilled with these changes is the understatement of the year. In the new program, you can see that you will no longer be able to walk into a store and pick up a CLNR device and instead will have to order one (hence the DFill only). 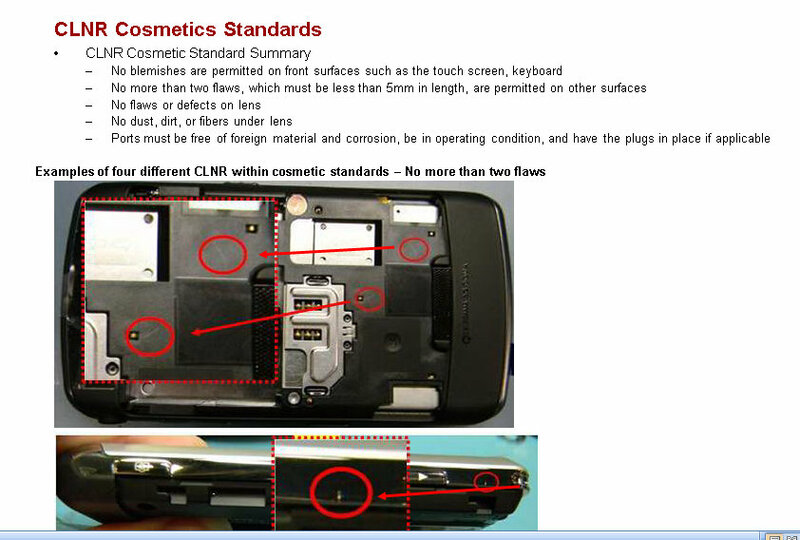 Yep, even though your phone is under warranty, you will be without a device until one has been shipped to you. Is shipping free? Only if you want to wait 5 days before holding a working phone in your hand again. If you want it quicker it’ll cost you $6.99 for 2-day and $12.99 to have it the next day. If you have Total Equipment Coverage (TEC) or an extended warranty you’ll still receive your phone in 1 day just like you always have. Another important change is the amount of time you have to return your busted device. 5 days instead of 10. What if you don’t make it in the 5 days? You could be charged for the full price of the device even if the phone shows up on day 6. You can still return it within 150 days and receive a refund. We’re not stopping there though; this is about to get even better. 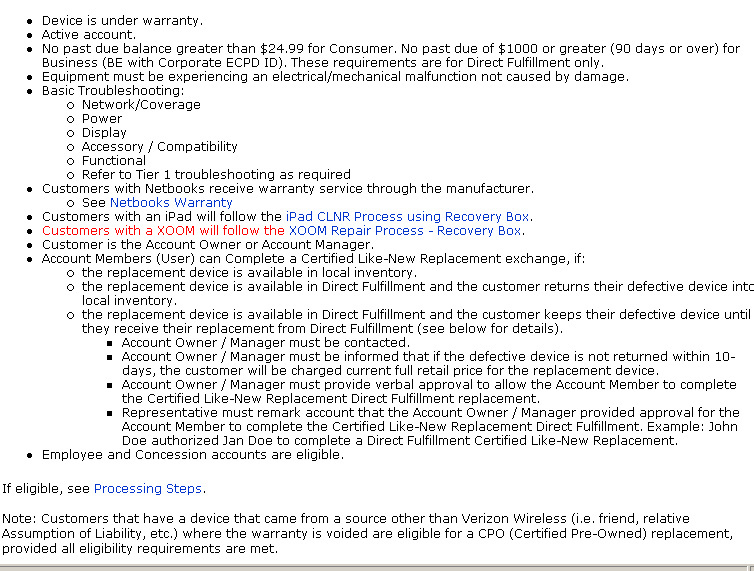 Previously, you could send in your warranty-covered phone no matter what the state of the device. As long as something on the inside stopped working, you could trade it in even if you had a giant scratch across the screen or dust under the camera lens. That is no longer the case. If say, your screen were simply to stop working and you had to return your phone under warranty to get a new one, there is a chance that you will be charged $299 for your phone depending on the amount of physical damage done to the outside of it. So even though your screen died and was 100% not your fault, you could still be charged because your battery cover is scuffed and your physical keyboard has a couple of letters missing from keys. That’s right, unrelated physical damage could result in a fee that is determined by the warranty device processing facility. Someone tell me this is just one giant April Fools’ joke? Please?